&apos;Til now, she always got by on her own — but no longer! 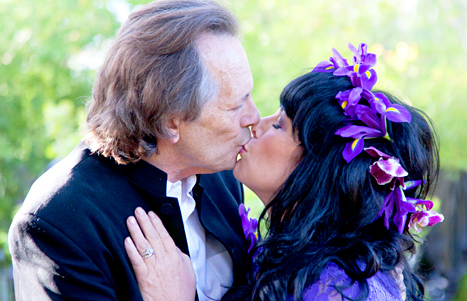 Heart frontwoman Ann Wilson is a married woman, after saying "I do" to Dean Wetter in an intimate wedding on Saturday, April 25, Us Weekly can confirm. The "Alone" singer, 64, walked down the aisle in a purple lace dress by designer Anthony Sartino, which she paired with Giuseppe Zanotti shoes. Rose-cut white diamond earrings and a 2-carat white diamond and platinum ring added sparkle. Her manager, Carol Peters, provided the setting for the vows: her backyard in Topanga, Calif. Wilson and Wetter, also 64, made it official under a floral-adorned arch in front of family and friends. "We are super blessed to be sharing life together," the newlyweds tell Us. Heart&apos;s official Twitter account also celebrated the good news. 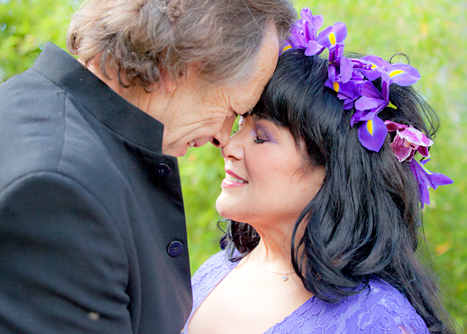 "A harmonious melody of devotion was felt on 4/25 as #AnnWilson & #DeanWetter were married in an intimate ceremony in front of family&friends," a tweet on April 27 read. This is Wilson&apos;s first marriage, though she was famously linked with Heart&apos;s former manager Michael Fisher in the 1970s. She has two kids, Marie and Dustin, whom she adopted in the 1990s.